blue pool tiles 2" x 2"
I am trying to find pool tiles on the internet. I tried local pool builders, but they no longer stock this pattern! I am looking for ideas on how to find pool tiles for a pool build cira 1995. Basically, I have a mosaic pattern made up of several types. One type is a 2"x2" square with a corner circular 0.75" cut having a outward radial white marking on a aqua blue background. The second type is a circular tile, 1.25" diameter with a set of 24 outward white rays on a aqua blue background. 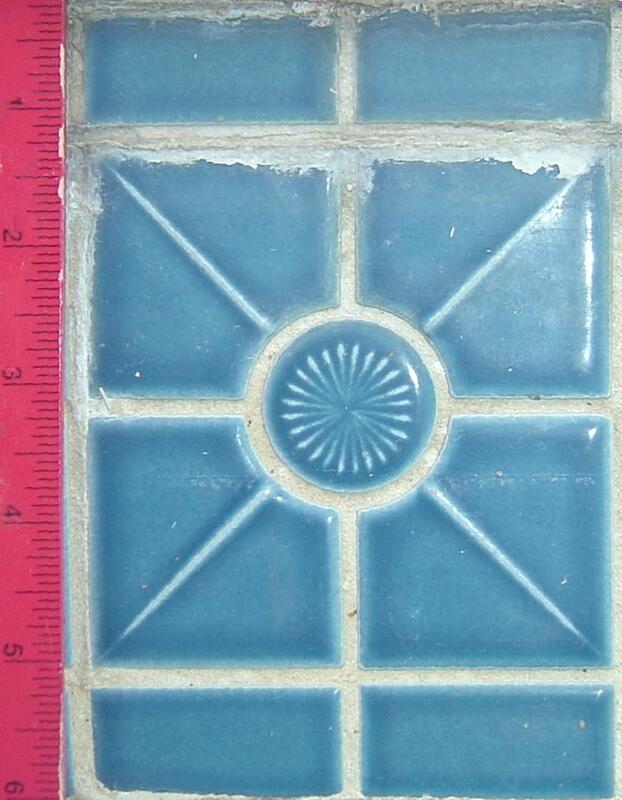 The third type is a rectangular tile, 2"x.75" that is aqua blue in color. Both are in a aqua blue color. I have been looking at patterns on www.ebay.com and www.google.com, lesliepoolsupplies.com, and other locations for hours. How do I find such a thing? Any good ideas on how to formulate a good search? I am thinking of joining a ceramics class so that I can make a dozen. Any other ideas where to look or how to go about solving this? What does one use as an adhesive? Probably pool supply shops sell a chlorine resilient grout? I used epoxy on the backside.